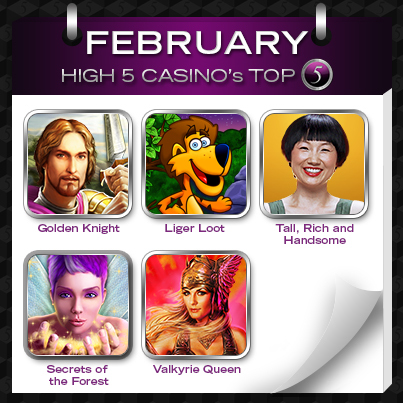 That’s over 3.5 trillion total H5C cash won at High 5 Casino in February! What was your biggest jackpot last month? The numbers don’t lie. Play High 5 Casino. This entry was posted in High 5 Casino and tagged Facebook, Golden Knight, Liger Loot, Secrets of the Forest, slots, social gaming, statistics, Tall Rich and Handsome, Valkyrie Queen by bobbyhigh5. Bookmark the permalink. Love the new game CATS. i had won then a icon appeared and now i cannot get the game to come back up. i love this game and i have never been able to getto 1 k but i still enjoy the game. please fix the game today. Win meter not registering on my account…Can’t send you an error report either. Won’t go thru. What’s up ?????? LOve Valkyrieeeeeeeeeeeeeee it’s my favorite!